The River Runs Free – a great read about saving a wild river and more. You are here: Home / Environment / The River Runs Free – a great read about saving a wild river and more. Rafting the Franklin in a leaky boat? Beating the government and saving a magnificant wild place? The evolution of “the Greens” in Australia? The River Runs Free has all this and more! Sue has been immersed in a new book this weekend. Totally immersed. She read it from cover to cover in under 24 hrs. 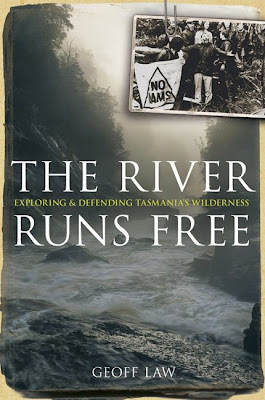 She loved the stories of not only the battle to save the Frankin River from being dammed, but also of the author’s adventures in the Tasmanian Wilderness. The book, by Geoff Law, is The River Runs Free and it is published by Penguin. Sue was so impressed by the stories in the book she immediately wrote to Geoff Law. As you can see from her story below, Tasmania and Wilderness have been a large part of our conciousness from the time Geoff started volunteering with The Wilderness Society right back in 1983. After reading a review in The Age I bought a copy of your book The River Runs Free on Saturday afternoon and have just finished it at 11:40am Sunday morning. WOW!!! In January 1983 my husband and I went to Tasmania for a two week holiday. We had been very aware of the campaign to stop the damming of the Franklin and joined the Wilderness Society in 1982. As mainlanders we had not been exposed to the negative sentiments toward those who were against the dam and were horrified when we spat on in Strahan and refused service in several business establishments. On returning from holidays we convinced family members to begin a letter writing campaign condemning the damming of the Franklin – arguing although they may never see the Franklin one day our children might want to, once convinced they became very committed. We have always been enjoyed camping and have spent many hours under canvas. Our children joke frequently about their cheap holidays, but even now as adults the girls still find some time to join us briefly in the bush. Over the years our commitment to the environment has continued to grow as we realise the importance of wild places to our sense of well being. In 1994 we returned to Tasmania with our children. We showed them places of incredible beauty and magnificence. We encountered animals so unafraid of humans they were almost tame. We watched enviously as bizarrely clothed people wondered off into the distance behind Cradle Mountain and emerged from the undergrowth around the edges of Lake St Clair. My third trip was very brief, accompanying an America student teacher to Hobart for a long weekend. We did manage a road trip to Cockle Creek, stopping at Dover for dinner. Even in that short amount of time she was able to appreciate Tasmania’s specialness. 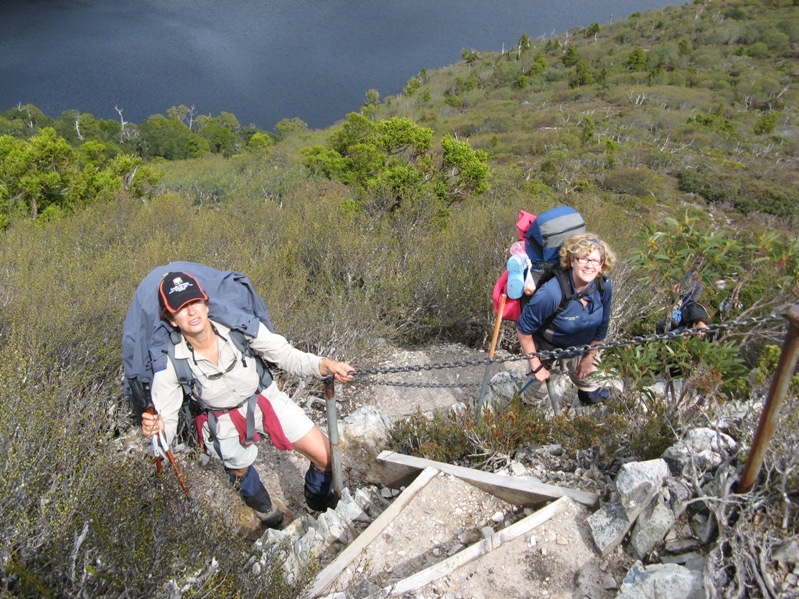 It wasn’t until 2002 I became initiated into the wilds of Tasmania and walked the Overland Track with my husband and our 17 year old daughter. It was quite bizarre to find a NO DAM triangle on a large tree at Frog Flats and to think it may have been there for 20 years. The triangle has since been removed. This is the link on “Our Hiking Blog” where she catches up with the tree again. 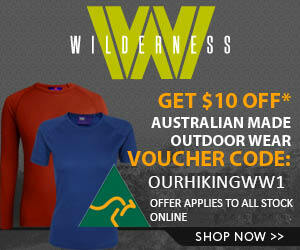 I/we have returned to Tassie many, many times since, to go walking in wild places and will continue to do so. Both of us chose to celebrate our 50th birthdays in Tasmania – my husband with a small group, walking the Overland. While I invited a group to walk the circuit around Cradle Mountain via Scott-Kilvert Hut. My brother-in-law at 52 had never seen snow until then. In December, we are planning to do the walk you describe in chapter 25 with our 17 yo son (having done it in June 2007 with our eldest daughter). In November our eldest daughter will complete her studies in Outdoor Education and her final “trip” will be to raft down the Franklin. It is amazing to think without the dedication and hard work of so many, this wouldn’t be possible. How prophetic was the statement I made to my parents and siblings in 1983. We take pride, that we in some very small way helped to make this possible and we would like to express our admiration and to say thank you to all who work so tirelessly to keep wild places wild. I just read your letter mum and I’m so proud it brought a tear to my eye. Well actually I’m sitting the uni library holding back a well of tears. I’m so excited to be a part of this amazing family and group of passionate people. Thankyou to everyone who has given me and my friends the change to experience the Franklin River. Thank you for your kind comments on our little blog. Would you mind if I added your blog to our blog roll? I should admit that I’ve visited your blog several times before I wrote my podcast blog post, and I’ve also listened to Wildebeat. Thanks for the suggestions for podcasts, and if you’re ever in the NT and looking for some walking pals, drop us a line. We’re doing an off the track walk this weekend, which you can guarantee that I’ll post about! Thanks very much for dropping by. I really love your blog it is such different country to hike in than we are used to. We will cenrainly drop you a line if we plan to be up your way. Would love it if you want to add us to your blogroll. I will also add you to ours. Thanks for your comments on the blog. I’ve added your blog to our links … and yes – I’ve been unmasked. I am a published author -but only in a small way. Nothing too major – yet. After I read this article about two weeks ago I went to a book store in Hobart and the book looked very interesting, so I bought it. Only a few days later I had finished it and it was one of the most interesting books I’ve ever read. Yesterday I met Geoff at the weekly public meeting of the Wilderness Society in Hobart, was really nice. Thanks for writing that article. Hope you are enjoying Hobart and your visa stuff is working out.